A two-day advanced porous materials workshop, jointly organized by Micromeritics Instrument Corporation and ETH Zurich, will take place June 2 – 3, 2014 at the ETH Zurich Hönggerberg campus, located on the outskirts of Zurich, Switzerland. Lectures by leading international experts will cover subjects that include advanced instrumentation and techniques for characterization, as well as experimental approaches for the fabrication and theoretical fundamentals for the simulation of high-tech porous materials. The event will also promote the exchange of knowledge and ideas between participants in a stimulating and informal environment. Porous materials are essential to the development of innovative high performance products. Materials with diverse pore structures will be discussed to include the distinctions between powders prepared at lab-scale and scaled up mm-sized technical forms. 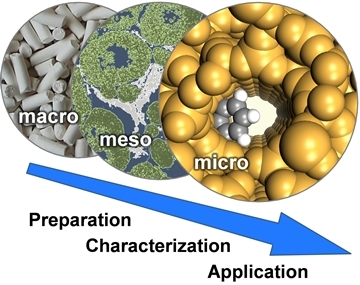 The types of materials covered will include zeolites, mesoporous silica, metal organic frameworks, and porous carbons with a broad range of practical applications including adsorbents, catalysts, ion-exchangers, membranes, supports, pharmaceuticals, biomaterials, super capacitors, and batteries.